Snow melting systems must be very carefully designed. Whether you are doing residential or commercial snow melting, the specific project objective must be considered during the design phase. Factors to consider; outdoor temperature, wind speed, area to be melted, local climate, rate of removal, cost of operation, and local codes. Commercial snow melting usually is considered because of safety issues for customers, patients, students and employees (hospitals, schools, universities, office buildings, parking garages, warehouse shipping docks, government buildings, helicopter pads, museums, and stadiums). In addition to the safety issues, some large building complexes with central boiler plants are dumping energy in the form of condensate. 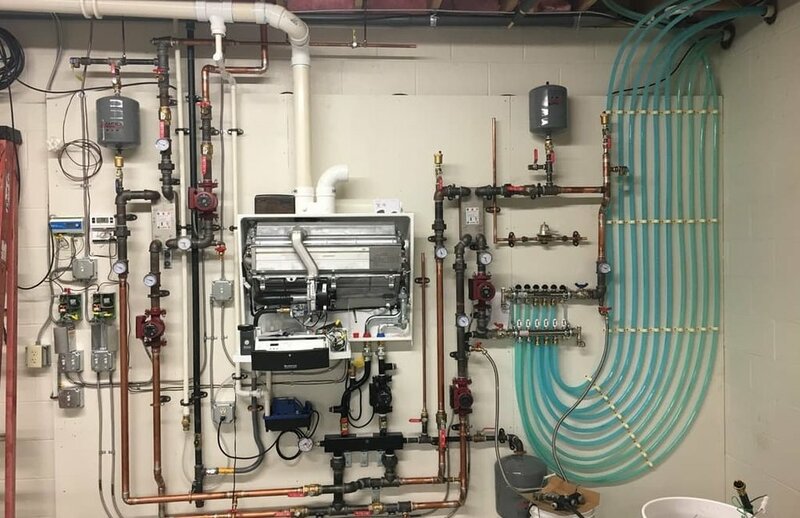 Why not snow melt entry ways, walk ways, parking garage ramps and stairs using the heated condensate energy, providing a benefit without increasing the operating cost with the additional benefits of safety and insurance cost sav- ings. 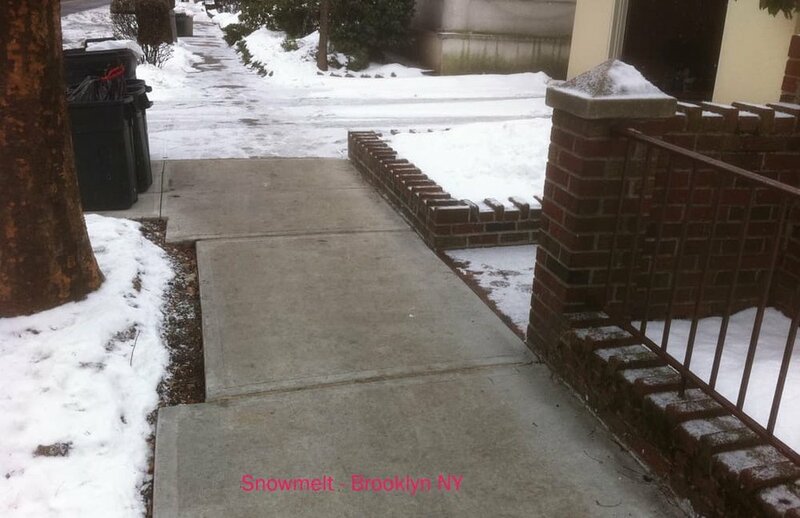 Residential snow melting provides a very safe and convenient luxury! Imagine eliminating shoveling the drive way, walk way and the stairs. For homeowners the convenience must be weighed against the added installa- tion and operating costs. Most homes have enough over capacity in their systems to melt stairways and small sidewalk areas. Driveway and patio areas may require a larger boiler independent of the heating system.